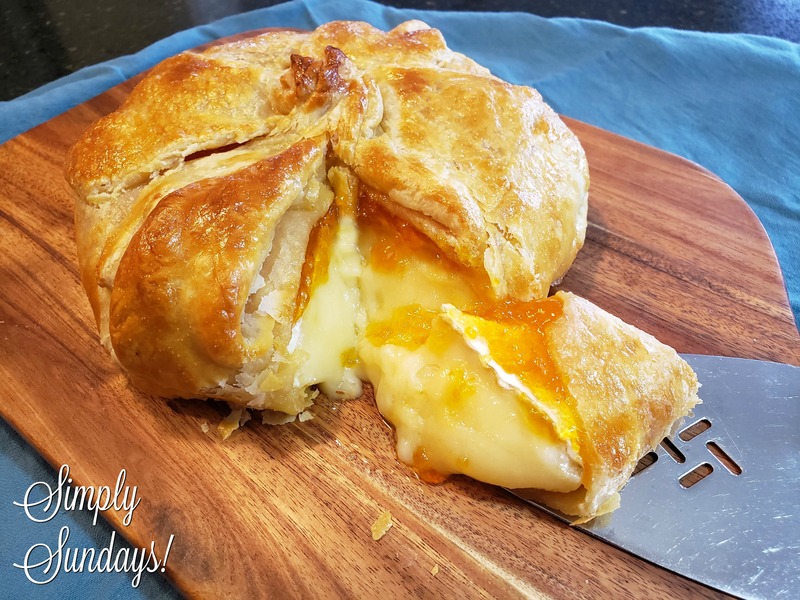 Brie & Apricot Puff Pastry – Simply Sundays! Oh Susan, this is awesome! I have made many a baked brie and never thought to pair it with apricot, which is odd, because it is my favorite jam! I can’t wait to try it! Thanks Beth! Hope you love it! A five star recipe indeed. For me the combination of goats cheese and apricot sounds like plain perfection. I must try this over the Easter holidays for sure. Thank you so much for sharing! Thanks Ramona! It’s actually made with brie cheese but goat cheese would be good also! This is such a delicious recipe! I love baked brie and the idea of putting apricot preserve sounds yummy! Isn’t baked brie in puff pastry the best? It’s so easy and you can use any jam or preserve, so versatile! I love that it’s so impressive too! Oh my! I love this! Total decadence! and unbelievably do-able! Thank you for my next party trick! I’m just looking out for an occasion to try this – this warrants a party to finish it all!